There were plenty of candidates to win this award. Anyone in the Intercontinental title match could have got it, Roman Reigns and AJ styles both excelled last night but Zayn was superb. Ever since returning at the start of 2016 Sami Zayn has been on the up. He eliminated Kevin Owens in the Royal Rumble, he was arguably the star of the show in the ladder match at Wrestlemania and he put on the match of the night at Payback last month. Last night he continued his fine work as he flew out of the blocks with a Helluva kick to Kevin Owens. From there it only got better. A particularly favourite spot of mine was a sunset flip with Cesaro that got a 2.9 count. Everybody thought Sami had won. 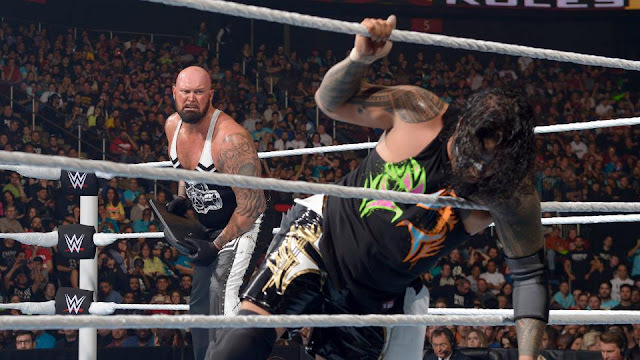 The finish also helped further the rivalry of Zayn and Owens when Sami lost the match because he was too focused on hurting Owens. This wasn't even close. Reigns vs Styles was very good but the Intercontinental title match had to take this. There were so many near falls and false finishes we were all on the edge of our seats. This match was full of great spots. The sunset flip with Zayn and Cesaro, the tower of doom, Kevin Owens with a frog splash to Miz who was on the ropes, everything about this match was awesome. This match was just set up to fail. The Asylum match gimmick was a polarising one. Many people thought it had potential if done right while others thought it was a poorly conceived idea. Unfortunately the latter were proved right. It probably didn't help that this match went on after the red hot IC title match but this match just wasn't very good on it's own. The pacing felt slow, the spots were ridiculous and the crowd were just not interested. This match also went on far too long. Overall it was just a waste of 25 minutes that could've been done better. Something like a last man standing match would've better suited both men. 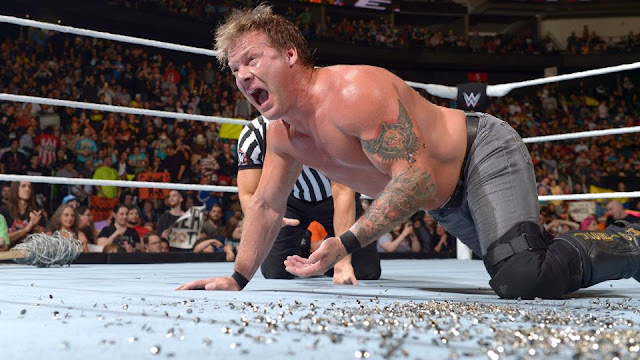 Credit should go to Jericho for taking the spot on the thumbtacks but it didn't change the fact that this gimmick didn't work and we should never see it again. Rusev is champion. Thank god for that. WWE have tried to book Kalisto as Rey Mysterio 2.0 in his title run and it has just been awful. Instead of making him look like an underdog they have simply made him look weak. The US title has lost a lot of credibility since John Cena dropped it at Hell In A Cell last year but Rusev should go some length to changing that. Rusev destroyed Kalisto at Extreme Rules. The match made Rusev look like a monster while Kalisto looked like he had no idea how to beat him. Yet again the women are ruined by WWE having little faith in them finishing a match by themself. The match itself between Natalya and Charlotte was as you'd expect, very good. But WWE couldn't resist making this yet again about Ric Flair. All around the finish to this match was poor. Ric became the deciding factor in yet another WOMENS match while Natalya looked like an absolute chump for falling for the ruse. Roman Reigns and AJ Styles. Both men performed very admirably in their title match. The overly strong booking of Reigns to kick of not one but two Styles clashes is incredibly questionable to say the least but nevertheless, the match was excellent and only overshadowed on the night by the fatal-4-way match. The Intercontinental and United States titles. I said that WWE needed to add more prestige to the secondary titles and they are doing just that. Rusev could potentially go on a dominant run as US champ while the IC title looks like a prize that everybody wants to win. Dean Ambrose. Ambrose deserves a better hand than he's being dealt. His PPV record is shoddy and some people even think that WWE are deliberately sabotaging him as they fear his popularity may overshadow Roman Reigns. While it doubt this theory, they do need to sort out what they want from him and fast. 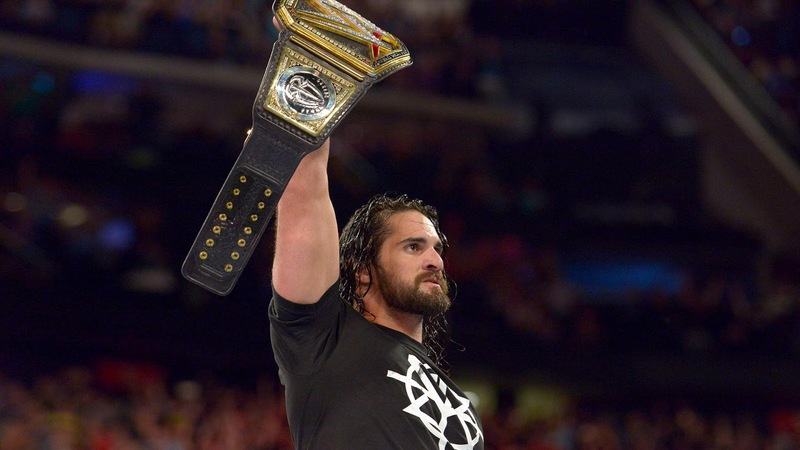 Who were the winners and losers coming out of WWE Extreme Rules 2016 PPV on Sunday 22nd May 2016 at the Prudential Center in Newark, NJ, USA.